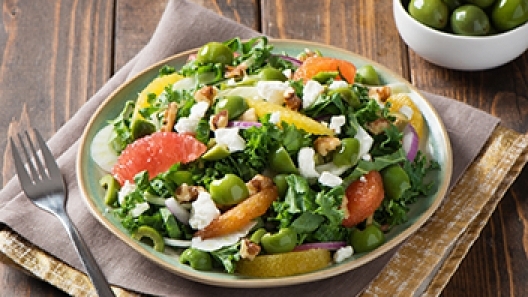 Sensational Salads to Celebrate National Salad Month! Did you know that May is National Salad Month? You do now! We’re celebrating by sharing secrets to creating fabulous and refreshing salads using unique ingredients. 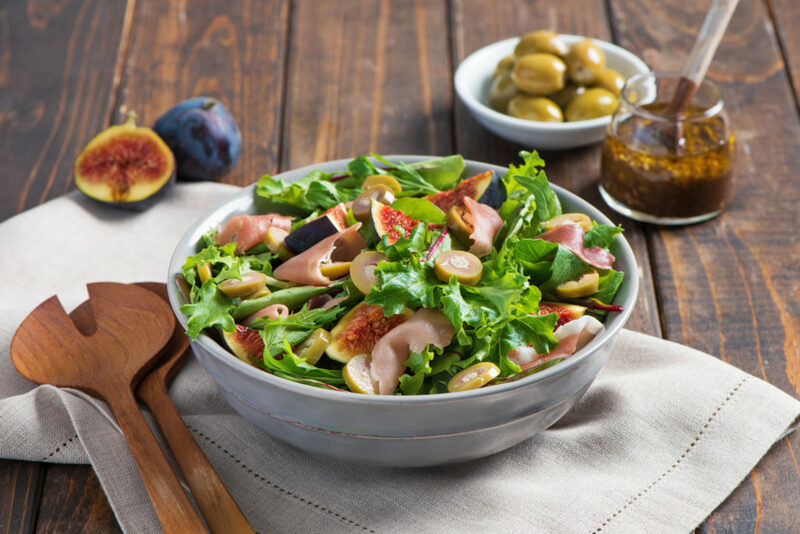 Here are some tasty tips to punch it up and wake up your palette with these sensational salads. Be inspired and be healthy! Start with Leafy Greens to build your base. 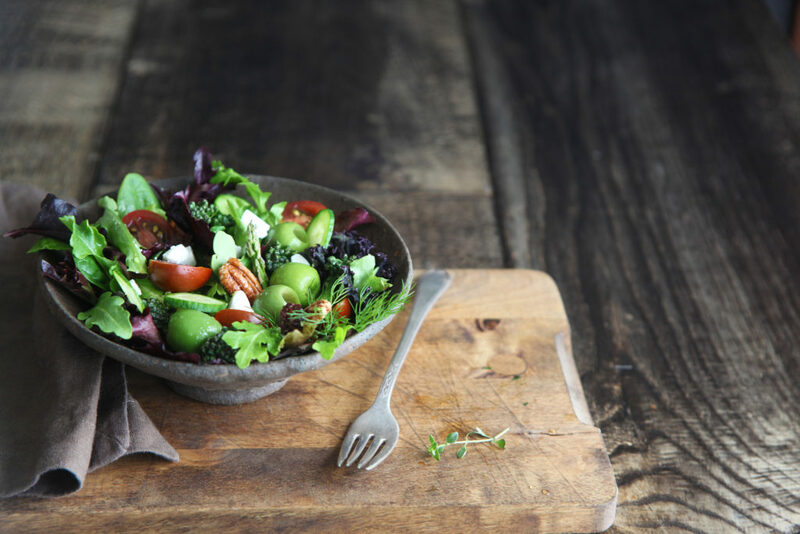 Look for dark leafy greens packed with important nutrients like folic acid – think baby spinach, kale, arugula or a spring mix that includes a variety of dark greens. Pile on colorful fresh fruits, vegetables and herbs! As a general rule of thumb, the more seasonal and local your vegetables are, the better (think Farmers Markets). This is the perfect time to indulge in a multitude of fresh seasonal fruits, veggies, and herbs. Adding protein to your salad like grilled chicken, hard-boiled eggs, water-packed chunk light tuna, wild-caught salmon, lean steak or turkey breast can make your salad more satisfying. 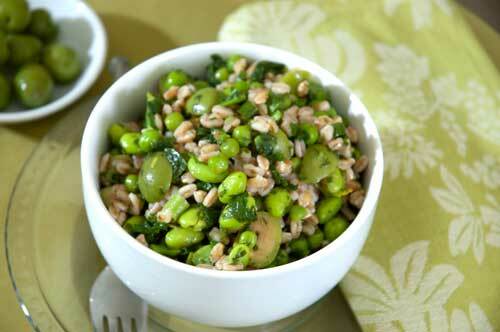 If you wish to skip the animal protein, cubed tofu, tempeh, chickpeas, beans or other legumes are great alternatives. Toppings like chopped nuts, seeds, shredded cheese, croutons, dried cranberries or raisins and salad dressings are fantastic on salads but have the potential to pack in too much fat and calories if you aren’t careful. For less fat and more flavor in your meals, think about adding something zesty and flavorful to your salad like Sliced Peperoncini or Jalapeño Stuffed Olives. 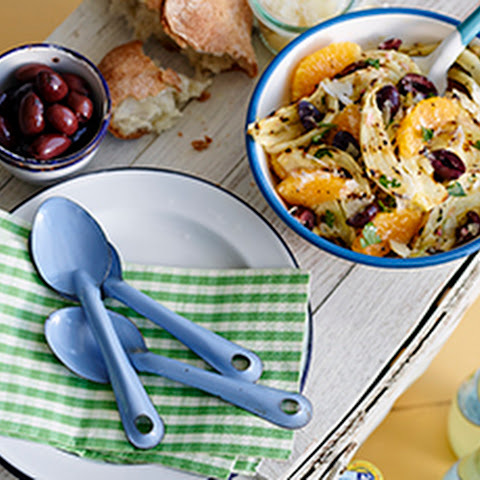 Toss Sun-Ripened Dried Tomatoes with chilled cooked pasta, sliced Kalamata Olives and Marinated Artichoke Hearts for a colorful and delicious pasta salad. 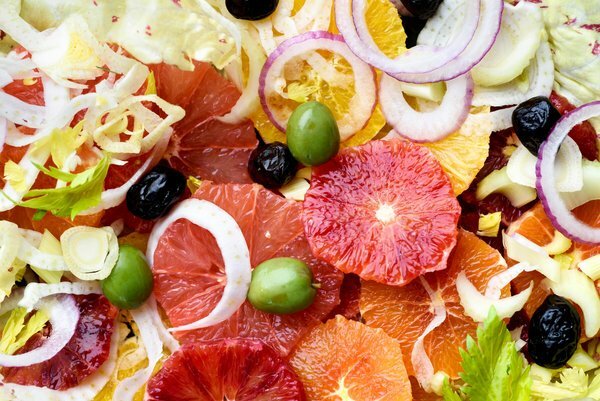 Toss pitted Castelvetrano Olives with mixed baby greens, orange sections, shaved fennel and a light lemon vinaigrette for a beautiful and refreshing salad. Toss Marinated Artichoke Hearts with salad greens, sliced cucumber, halved cherry tomatoes and balsamic vinaigrette. For a tangy vegetarian version of a classic Caesar salad, use Capers in place of the traditional anchovies. Toss Spicy Italian Olive Antipasto, along with its marinade, with romaine lettuce and tomato wedges. Drizzle with extra virgin olive oil and top with crumbled feta cheese for a super quick and delicious salad. Toss pitted Kalamata Olives with feta cheese, lettuce, tomatoes, olive oil and red wine vinegar for a refreshing Greek salad. 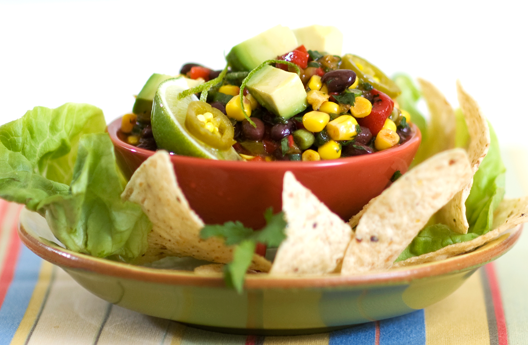 Add diced Jalapeño Stuffed Olives to a Southwestern black bean salad. 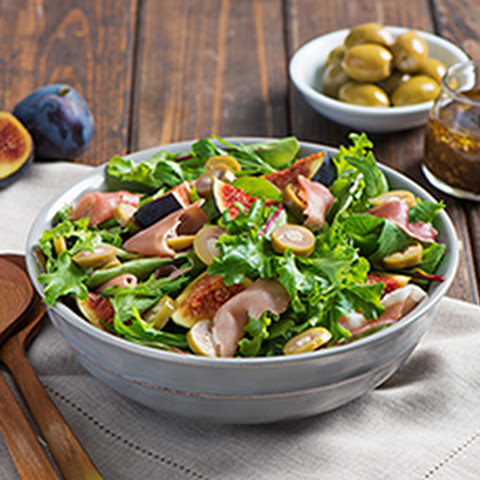 Toss Sliced Peperoncini into a mixed green salad for an extra punch of flavor. 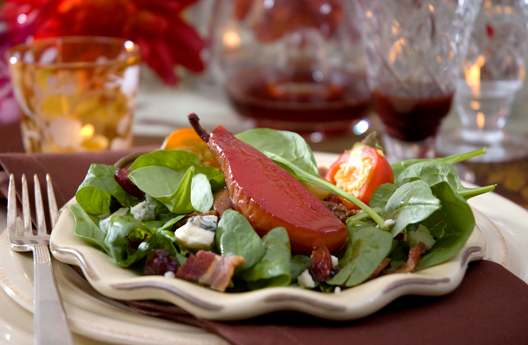 Add Sliced Hot Cherry Peppers to salads for a boost of color and flavor. Arrange Roasted Bell Pepper Strips on a serving plate along with sliced fresh mozzarella and julienned fresh basil. Drizzle with olive oil and season with sea salt and freshly ground black pepper. Eat Healthy with the Incomparable Vegetarian Mamma! Vegetarian cooking can sometimes be a daunting task to people trying it for the first time; “how can it be tasty without meat,” they ask. 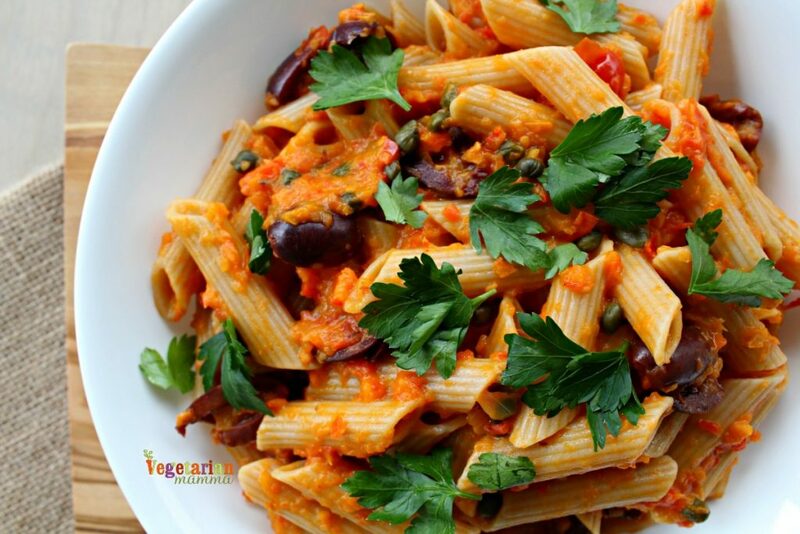 Well, Vegetarian Mamma has shown just how fun and easy-to-prepare vegetarian dishes can be. 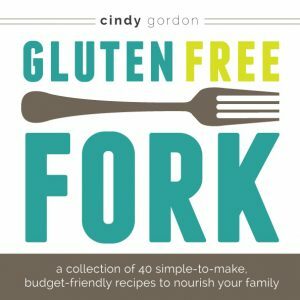 Through her website, blog, and cookbooks, Cindy Gordon provides a bounty of recipes and techniques that the whole family can enjoy. 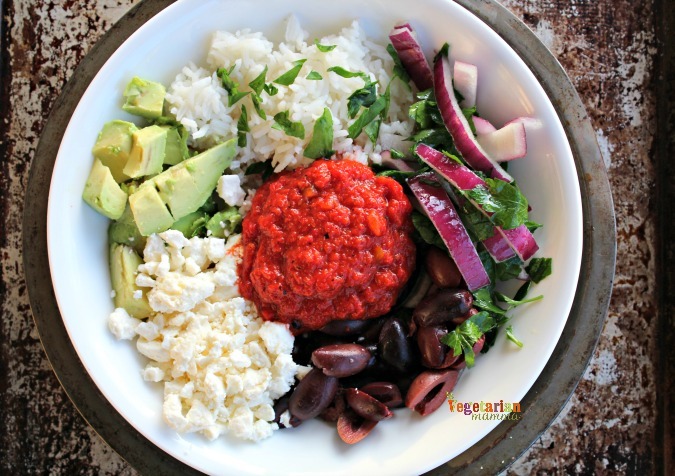 We’re proud to say that many of these mouth-watering meals make use of our very own Jeff’s Naturals line of all-natural non-GMO products, such as this Mediterranean Rice Bowl recipe (seen above) and a Roasted Tomato Sauce Pasta (see below- yummy!!). Trust us, you have to try these recipes for yourself. All recipes featured on Vegetarian Mamma’s site are vegetarian, and the site offers giveaways of gluten-free, allergy-friendly products so you can test the delicious products she uses! 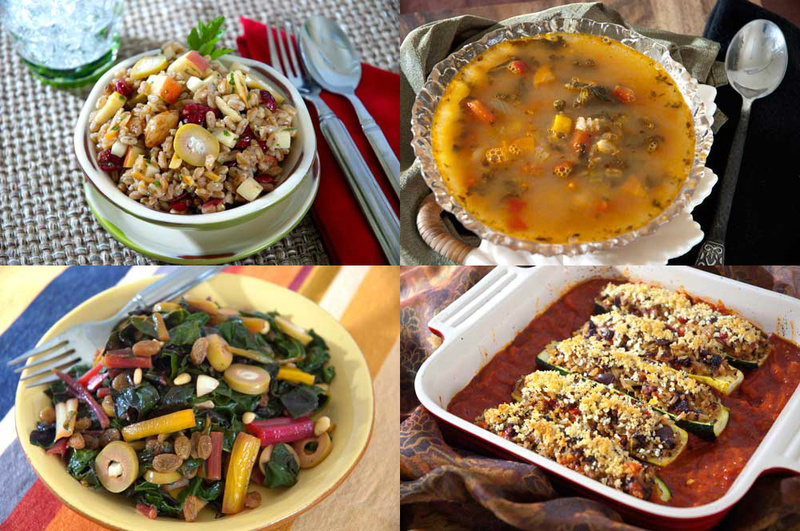 If you’re looking for a good place to pick up some vegetarian-friendly recipes, Vegetarian Mamma’s recipe page is of course the natural place to start. But why stop there? When you enter our 2017 Fresh Start Sweepstakes, you can win a copy of Vegetarian Mamma’s cookbook Gluten Free Fork! This website is meant for everybody! If you are seeking information on recipes, products or just want to be part of a community, this site is for YOU! While we do share some humor within our posts, we try to keep it classy and supportive of all who visit. We try to stay encouraging and welcoming. While some recipes and products may not fit for some, they may be perfect fits for others. At Vegetarian Mamma, we are here to encourage one another and to keep things positive. We are not here to try to dictate what you should and shouldn’t consume. You know your body, you know your beliefs and you can act upon them. Cooking is, at its core about love, both for the food itself and the people you are cooking for. This guiding principal is clear in Vegetarian Mamma’s site, blog, book, and recipes. The amount of care and consideration, both for the meal itself and the eater, is palpable and most importantly tasted in the recipes she provides. Be sure to visit her website often for the latest and best in vegetarian recipes and giveaways! Break out the dressings because May is National Salad Month! Celebrate the greener side of life by eating a plate of delicious healthy vegetables, spiced up with Jeff’s Natural’s range of healthy, non-GMO products! In a large mixing bowl, gently toss salad ingredients together. Drizzle salad dressing over the top until lightly coated and toss to gently. Serve immediately. In a large salad bowl, combine all salad ingredients and set aside. In a small bowl, whisk together the olive oil, citrus juice and Dijon. Season with salt and pepper to taste. If needed, add a few splashes of vinegar for a little more acid. Drizzle enough dressing over the salad and to lightly coat and toss. Stir together the first eight ingredients in a large bowl. Cover and let marinate in the refrigerator for at least 1 hour. Remove chilled salad and top with lime juice, and salt and pepper. Drizzle sliced fennel with olive oil, season with salt and pepper and grill on each side until nice grill marks have developed, about 5 minutes each side. Prepare the oranges by cutting the segments out in between the membranes. To the orange juice, add the segments, kalamata olives, and parsley. Add the grilled fennel and toss. In a small bowl, whisk all dressing ingredients together and pour over fennel salad. To serve, garnish with parmesan shavings. In a bowl combine all of the above ingredients and whisk until well incorporated. Is eating healthier part of your plan for the New Year? Why not consider following a Mediterranean diet? Combined with physical activity, the Mediterranean diet could improve not only your health, but your overall quality of life! A traditional Mediterranean diet consists of large quantities of fresh fruits and vegetables, nuts, fish, whole grains, legumes, olive oil, and less red meat and dairy. Replace processed foods and refined sugars and flour with natural ingredients, and your body and taste buds will thank you. Click here to see some of our wholesome Mediterranean recipes. Here are 5 more reasons to consider switching! 1. More and more studies are linking the Mediterranean diet with disease prevention. Numerous studies have linked the Mediterranean diet to reduced heart disease, Alzheimer’s, cancer, type 2 diabetes, and other conditions. Refined breads, processed foods, and red meat are discouraged in a Mediterranean diet, and it encourages drinking red wine instead of hard liquor, which have all been linked to heart disease and stroke prevention. Not only is this way of eating good for your health, it’s good for your wallet too! If you stick with meals that emphasize vegetables, whole grains and legumes, you may discover that the Mediterranean diet to be less expensive than serving dishes with larger portions of meat, cheese, and processed foods. 3. It’s not just what you eat, HOW you eat your meals could make you healthier and reduce stress. Though food choices play a large factor, you might enjoy adjusting your habits to reflect the Mediterranean lifestyle. Rather than rushing through your meals or eating in front of a television (or even worse, a car! ); sit down for a relaxed, leisurely meal with others. It could be as important for your health as what’s on your plate. 4. Fewer cravings = weight loss. A Mediterranean diet is rich in fiber, which makes you feel fuller longer by slowing down digestion. A fiber rich diet has also been shown to prevent huge swings in blood sugar, which can curb your appetite and reduce cravings for sweets and other processed foods. 5. It could help you age gracefully. The nutrients and high levels of antioxidants associated with a Mediterranean diet may reduce the risk of developing muscle weakness and other signs of frailty. Researchers speculate that the Mediterranean diet may improve cholesterol and blood sugar levels and overall blood vessel health. When there is a reduction in developing heart disease or cancer, as in the case when you follow a Mediterranean diet, there is a 20% reduced risk of death at any age. Mediterranean products that have been enjoyed for generations are now available in an all-natural line. We, at Jeff’s Naturals, are passionate about healthy eating and are pleased to offer a line of Mediterranean products that are free of preservatives, stablilizers, artificial colors, flavors and sulfites. Click here to learn more about our 100% natural line of olives, peppers, sun-dried tomatoes, capers and more! 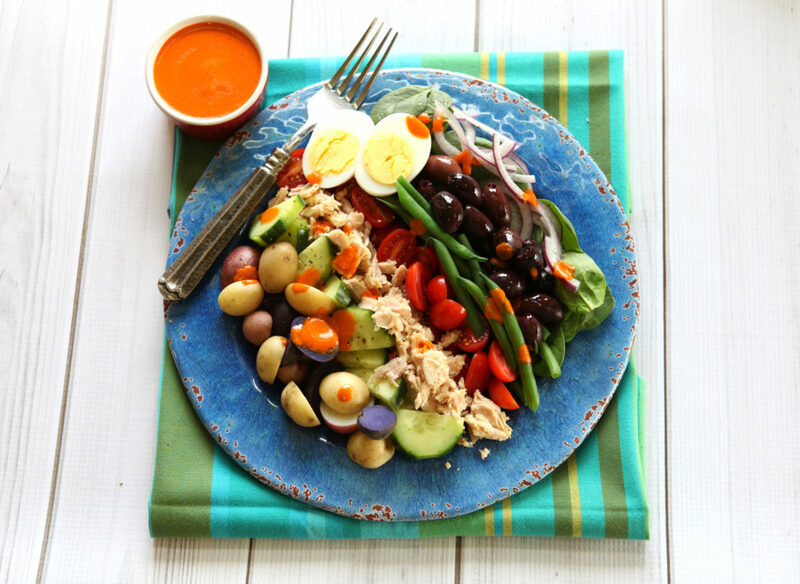 May is International Mediterranean Diet Month! You Can Help Promote Awareness and Celebrate International Mediterranean Diet Month! The Mediterranean Diet is a common sense approach to eating and living with an emphasis on fresh fruits and vegetables, nuts, fish, whole grains, legumes, olive oil, and less red meat, dairy, processed foods and sugars. Combined with physical activity, the Mediterranean diet could improve not only your health, but your overall quality of life! Health organizations like Oldways are a great resource to learn more about the Mediterranean Diet. The organization provides resources to help consumers understand what the Mediterranean Diet is, why it is good for you, and how to shop for and cook healthy Mediterranean meals. Oldways is celebrating the 5th Annual International Mediterranean Diet Month by hosting the first virtual Mediterranean Dinner Party. During the month of May, Oldways invites people everywhere to post photos of themselves taking pleasure in a taste of the Mediterranean, at home or in restaurants, for a chance to win weekly prizes and one grand prize. Med Lovers can submit photos of themselves via Twitter, Facebook, or the Oldways Forum, enjoying homemade meals from either of Oldways’ 5 in 50+ list, at home, or at a Mediterranean restaurant of their choice, using the hashtag #MedMonth2014. Click here for more details. May is the perfect time to shift towards this way of eating and living. 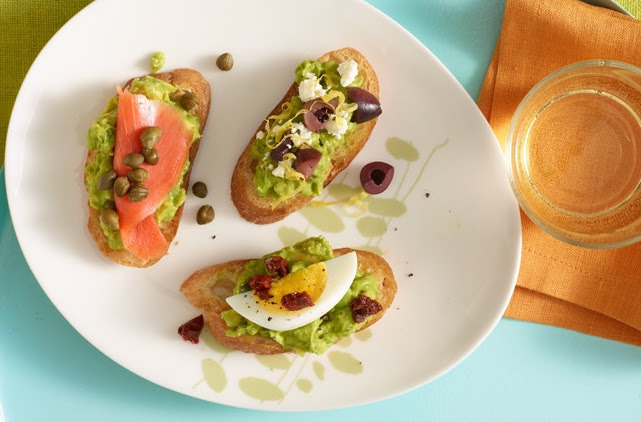 To help get you started, download 8 simple steps you can start following a Mediterranean Diet. We also encourage you to browse our line of all natural Mediterranean products and visit our Recipe Page for more inspiration. Oldways (www.oldwayspt.org) is a nonprofit food and nutrition education organization, with a mission to guide people to good health through heritage, using practical and positive programs grounded in science and tradition. Oldways is the parent organization for The Whole Grains Council and The Mediterranean Foods Alliance, and is well-known for creating the Whole Grain Stamp and the Mediterranean Diet Pyramid. If your goal is to improve your overall health and lifestyle in 2014, we want to help! Last month, we shared five reasons to follow the Mediterranean diet. The Mediterranean lifestyle is not a fad nor does it have a catchy title. It is simply a common sense approach to eating and living that has been shown to improve well-being and quality of life. The best part is, the Mediterranean diet does not ban any major food groups and is not difficult or expensive to follow. Health organizations like Oldways are a great place to begin. The organization provides resources to help consumers understand what the Mediterranean Diet is, why it is good for you, and how to shop for and cook healthy Mediterranean meals. For more information Download their 8 simple steps you can start following a Mediterranean Diet today. Here are some additional suggestions on how to get to started. You may find these simple steps to be easier and more manageable than you thought. 1. Print out a copy of the Mediterranean diet pyramid and post in your kitchen. It helps to visually to compare and contrast the Mediterranean diet pyramid to the USDA Food Pyramid we are all used to. In a nutshell the Mediterranean diet pyramid emphasizes fruits, veggies, whole grains, beans, nuts, legumes, olive oil, and flavorful herbs and spices; eating fish and seafood at least a couple of times a week; enjoying poultry, eggs, cheese, and yogurt in moderation. Compared to the USDA, the Mediterranean Pyramid contains much smaller amounts of red meat, sweets (fruits are eaten as sweets) and dairy but allows for more in-take of healthy fats and oils. Another difference is that the Mediterranean Food pyramid is structured to demonstrate what is recommended on a monthy, weekly and daily basis while the USDA just describes the daily intake. 2. Eat breakfast every day no matter how busy you are. You have heard it before but breakfast is the most important meal of the day. The reasons to eat breakfast every day are seemingly endless. Studies have linked a healthy breakfast with lower rates of obesity, more energy throughout the day, and better productivity. A breakfast packed with fruits, whole grains, and other fiber-rich foods are a great way to start your day, just do it. 3. Understand the difference between healthy fats and unhealthy fats. Monounsaturated fats found in ingredients such as extra-virgin olive oil, nuts, sunflower seeds, olives, and avocados and polyunsaturated fats found in sunflower, safflower, soybean, and corn oil are known as the “good fats” because they are good for your heart, your cholesterol, and your overall health. Overconsumption of saturated fats and trans fats can increase your risk of disease and elevate cholesterol, so consume these in moderation. Click here to learn more about the differences in fats. Join the millions who have adopted “Meatless Mondays” into our weekly meal planning or simply pick a day where you build meals around beans, whole grains, and vegetables. Once you are comfortable with making vegetarian meals, try two nights a week. Don’t substitute cheese for meat- this defeats the purpose! 5. Pack in as many vegetables as possible into your meals. Load up sandwiches, omelets, soups, pizza, etc with fresh herbs and vegetables. Look for recipes packed with vegetables like this Italian Farro Minestrone soup made with our Roasted Red Peppers and Caramelized Onions, or Indian Summer Palette Salad with mixed greens, red onion, basil, Kalamata Olives, Garlic Stuffed Olives, and Roma tomatoes. 6. Reduce your meat intake. Numerous reports have shown that Americans eat more meat than any other nation. In fact, Physicians for Social Responsibility (PSR) says the average every America consumes nearly 200 pounds of meat each year. We are not saying NO MEAT, but reducing the amount of saturated fats and trans fats found in meat products could have a positive impact on your health. The Mediterranean diet allows you to have meat, but it encourages smaller amounts and leaner cuts. Save the red meat for special occasions. 7. Eat seafood twice a week. Fish such as tuna, salmon, herring, and sardines are rich in Omega-3 fatty acids, and shellfish like mussels, oysters, and clams have similar benefits for brain and heart health. Try new fish recipes like this one for Encrusted Salmon with Olive Pesto using our Kalamata Olives. 8. Make it a goal to sit down at the family table for dinner on a consistent basis. In most cultures, meal time is a pleasurable experience with good foods and drinks, well prepared and consumed with pleasure, in the company of family and friends. For many of us, the demands of our schedule make it difficult if not impossible to enjoy regular family meals together.…however it is important for our health and the health of your children. In recent years, researchers have linked regular family dinners with lower the rates of obesity and eating disorders in children and adolescents, lower rates of substance abuse, teen pregnancy and depression, as well as higher grade-point averages and self-esteem. Visit thefamilydinnerproject.org for tips on how to bring your family back to the table for dinner. Go for a walk even if it just around the block. Play with your kids, go dancing, do yoga, go for a run, do a zumba class, go hiking, ride a bicycle, lift weights…whatever your exercise preference is..DO IT! Commit yourself to getting at least 20-30 minutes a day! Get off the couch or the computer and move! Mediterranean products that have been enjoyed for generations are now available in an all-natural line. We, at Jeff’s Naturals, have been working for years striving to perfect this product line and we finally have it. We are pleased to offer a line free of preservatives, stablilizers, artificial colors, flavors and sulfites. Browse our collection of recipes created exclusively to highlight our all natural line of products. Some are old family favorites and others are modern takes on Mediterranean classics. Jeff’s Naturals products are convenient and add color and loads of flavor to any meal.